A huge number of ADD cases have been reported to develop at a very early age. Their symptoms are often associated to a number of behavioral problems and a result, a number of parents often take this lightly or for granted. What they don’t know however, is that their child may have already been suffering from ADD for a considerable period of time. Let us look at some of the common ADD symptoms to help parents better understand the condition of their child. There are a number of factors that need to be considered when determining ADD symptoms. One symptom may not be enough to tell if a child is suffering from ADD. ADD child symptoms for instance, will appear over the course of many months instead of having them shown all at once. Patience and careful observation are keys that can help you find ADD symptoms in children. Among the common symptoms include difficulty in keeping attention, being forgetful, does not pay attention to details, disorganized, does not follow direction or finish tasks, becomes easily distracted, throws temper tantrums and many more. A number of prerequisites must be met in order to fully recognize ADD. For instance, symptoms must be present consistently for a period of six months. Another thing to note is that the symptoms must also be present before seven years of age. For that, parents are advised to work hand in hand with their child’s doctor as well as their teachers to see if there are any issues with regards to his/her development. It should be noted that a number of ADD child cases has carried over to adulthood. This means that adults will also exhibit symptoms of ADD regardless of their age. 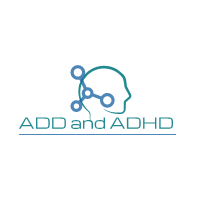 Among the common issues adults with ADD have include the lack of focus, hyper focus, disorganization, time management problems, impulsivity, emotional problems, poor self image, lack of motivation, restlessness and anxiety, fatigue, health problems, relationship issues as well as substance misuse. Treating ADD in adults although possible, will be a huge challenge when compared to managing ADD symptoms during their early years. The reason behind this is that a number of their behavioral problems and habits have already been engraved to their personality. This in turn can make them much harder to remove. This is the reason why parents are advised to supervise their child’s ADD symptoms as early as possible. This in turn decreases the likelihood of them carrying over the unwanted behavioral problems that can affect them to achieve success with their respective career paths. There indeed a lot of ground to cover when talking about ADD symptoms. With that being said, it is good to hear that readily available information can be found over the internet. ADD symptoms can be treated in a timely and effective manner with the help of the much needed therapy and medications. However, patients will need all the support that they can get in order to cope with the condition.